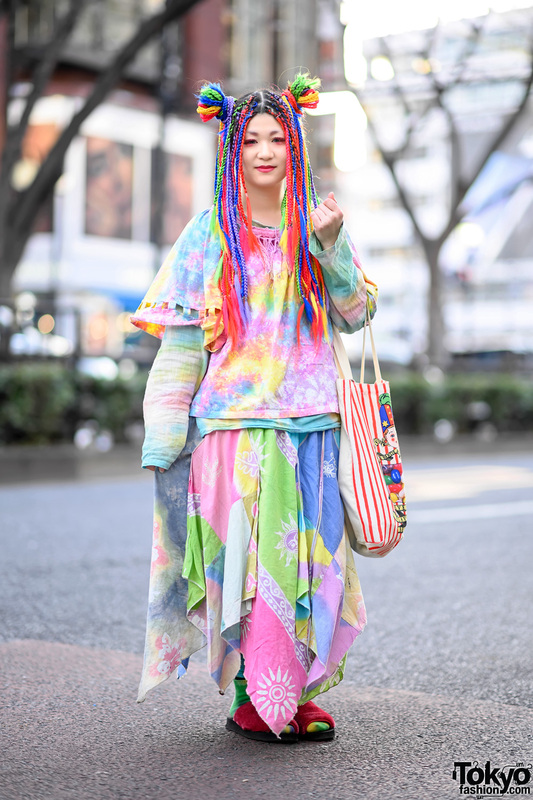 We caught up with Yuya on the Harajuku street one fine day. 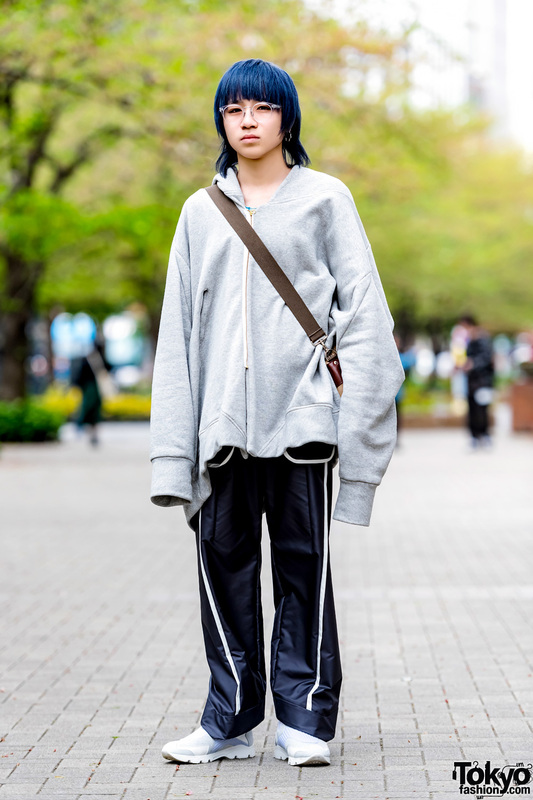 The 18-year-old student is regularly featured on our street photos. 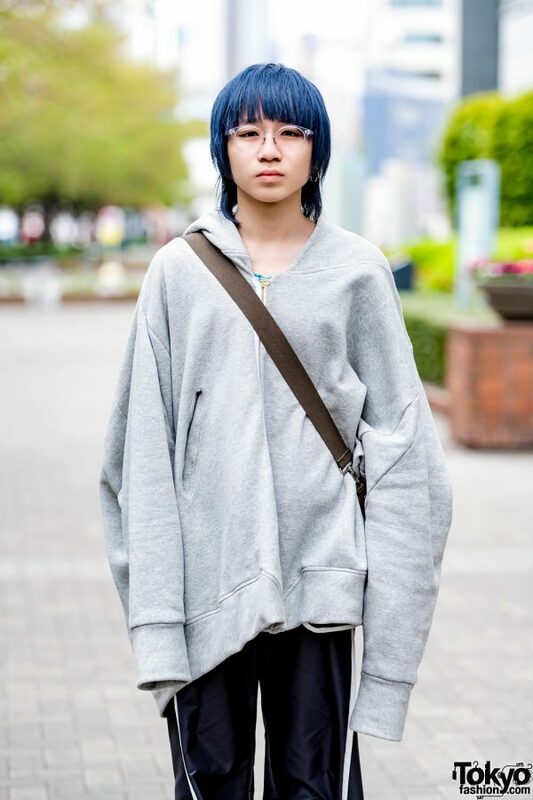 Today, Yuya – sporting blue hair – is wearing a grey oversized hoodie jacket from Balmung, which features a floral print design on the back. He wore it with an aqua printed shirt from Ohta, and black satin pants with contrast white piping and slightly flared hems from Chloma. 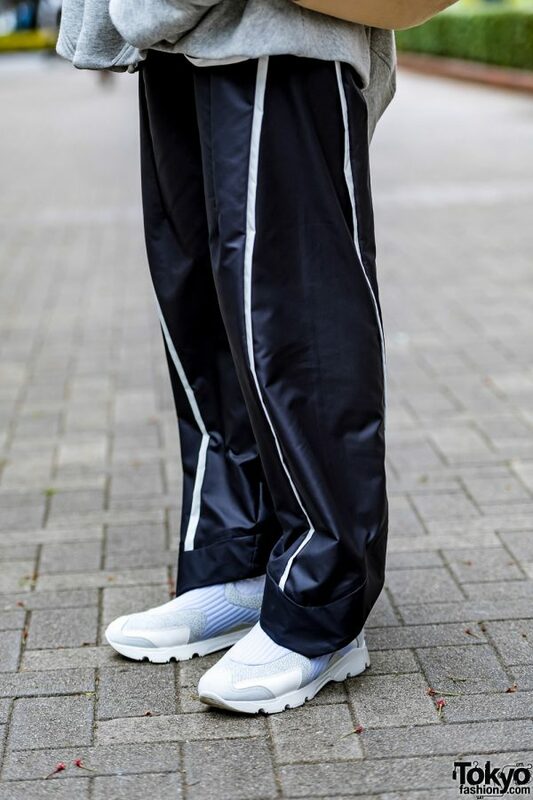 He completed his minimalist style with white sneakers from Maison Margiela, accessories from A.D.S.R such as round clear-framed eyeglasses and a single hoop earring. 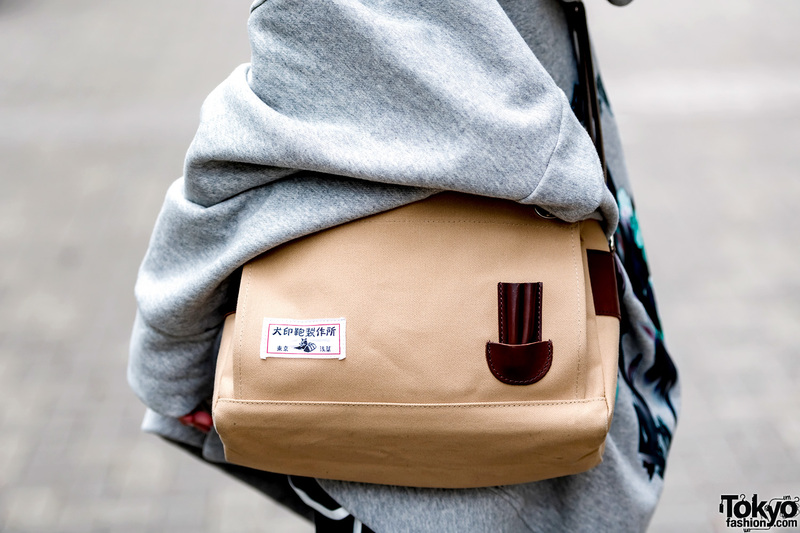 In addition, he is wearing a vintage tan crossbody bag. 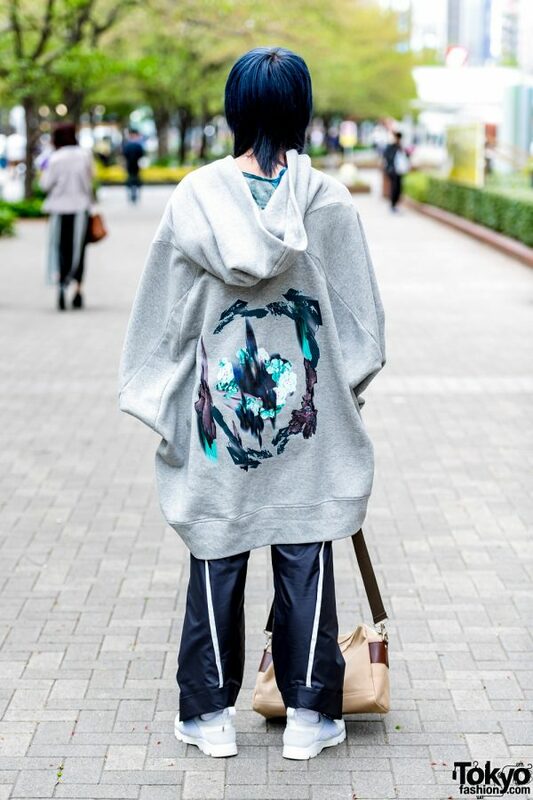 Yuya’s favorite fashion brands include Balmung and Chloma. 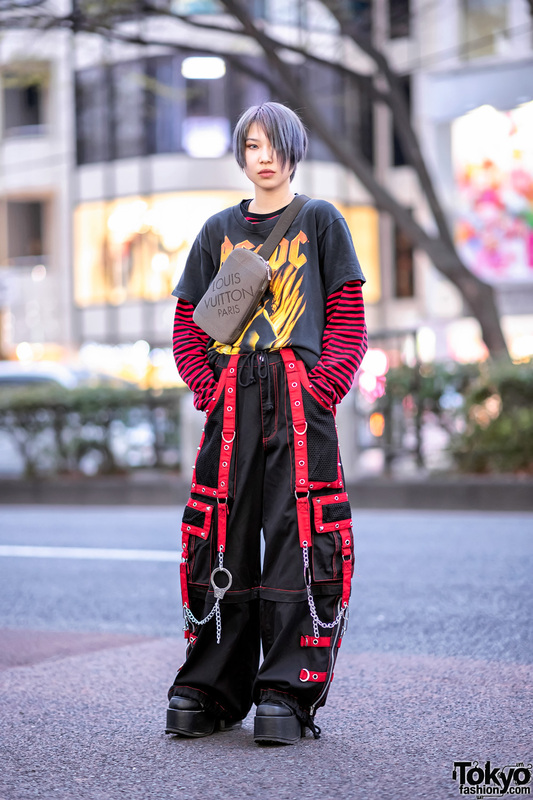 For more on his stylish OOTDs, follow Yuya on Instagram.